ID Watchdog’s service is focused on proactive prevention and helping customers resolve potential threats before they become crises. The company has won several industry awards for its products. Customers can opt for one of two paid subscriptions offered by ID Watchdog. The company’s plans offer excellent value, with both including the full identity monitoring service, alongside online black-market scanning and immediate notifications. Moreover, each subscription provides ID Watchdog’s full-service identity restoration for victims of fraud, as well as National Provider Identifier alerts for customers in medical fields. Customers can select from the company’s Plus package, which costs a monthly $14.95, or choose the Platinum plan, which includes credit reports and scores for $19.95 a month. Overall, the company’s offerings feature a strong suite of tools regardless of the tier a subscriber selects. ID Watchdog scans public databases including the USPS National Change of Address Registry and the National Provider Identifier (for medical professionals), searching through billions of consumer and public records to ensure that user identities have not been changed or used inappropriately. In addition, the company scans for any high-risk or unusual transactions made in users’ names, including loan or mortgage applications, change of account passwords, or external wire transfers. ID Watchdog will even scan non-traditional credit records such as pawn store loans and payday lenders to guarantee customers’ identities remain safe. The service currently does not perform scans for pre-approval credit card lists and other marketing mailing databases. The company instantly sends alerts to customers via email and text message if their information is found on suspicious sites or if their accounts display any evidence of fraudulent activity. Additionally, customers can actively keep track of any activity directly from their online dashboard on ID Watchdog’s website. One of the best services available from ID Watchdog that sets them apart from many competitors is the company’s fraud resolution solution. ID Watchdog offers a comprehensive restoration service that guarantees customers will have their identities fully recovered at the conclusion of the process. The company employs a team of highly trained, certified Identity Theft Risk Management Specialists who work directly with customers throughout all the steps required to restore a compromised identity. Furthermore, the company offers up to $1 million in fraud insurance to cover the financial impact of identity theft. For customers looking for added value from their identity theft solution, ID Watchdog offers an outstanding credit monitoring service. The company tracks customers’ credit reports from all three major credit bureaus, and alerts customers if anything changes. Alongside monitoring, customers are also able to regularly review credit reports and credit scores. Finally, customers can freeze their credit scores if they suspect any fraudulent activity has occurred. ID Watchdog currently does not offer customers a mobile app for tracking their identity on the go. This is one area that the company could improve upon. 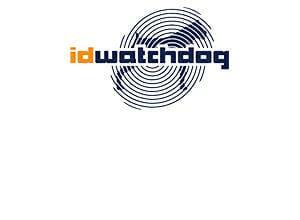 Getting started with ID Watchdog is very straightforward. The company’s plans do not require any downloads, so customers simply select the appropriate plan online and complete the initial questionnaire. Protection then commences in just a matter of minutes. The company can be reached through a toll-free number that is available around the clock every day, as well as via email. The company’s full-restoration guarantee for fraud victims, along with its always-available customer support, make it an excellent tool for customers looking for constant protection. Thanks to a streamlined dashboard that lets users keep track of their identity, along with the various scans regularly performed, ID Watchdog empowers customers to protect their identities proactively while covering them in the event of theft or fraud.